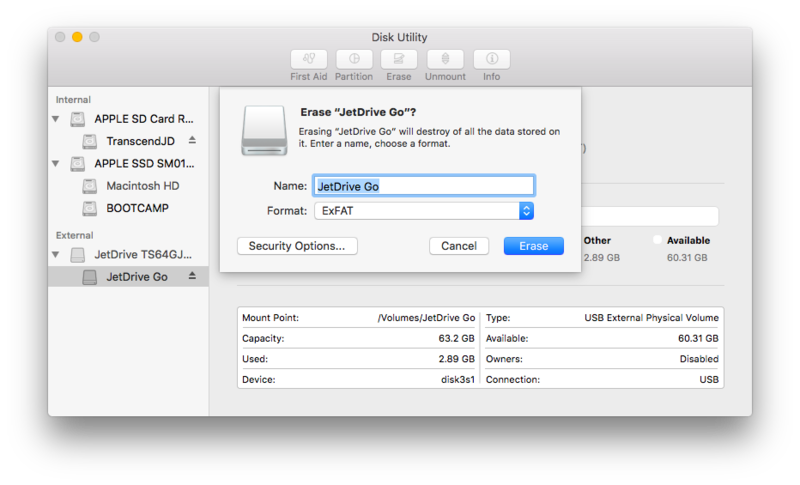 Why do I receive the message, “File format not supported!”, after formatting my JetDrive Go once I open the JetDrive Go App? Method 1: Right click on the removable storage device in "My Computer", select "Format," and then click the "Start" button. 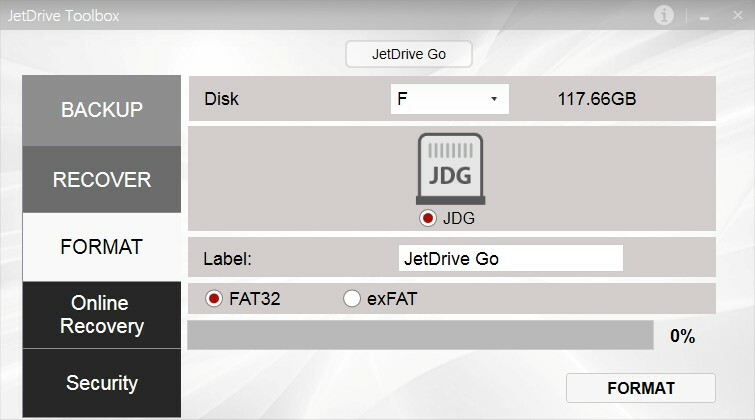 Method 2: Please download JetDrive Toolbox software from Transcend website (http://www.transcend-info.com/Support/Software-181/). Mac OS X: Please go to “Disk Utility,” and click “Erase” to format the JetDrive Go to MS-DOS (FAT) or exFAT. Why can’t I copy music from my iPhone to the JetDrive Go?